Laura was awarded a Distinction in Architectural History at the University of Oxford. She has assisted architectural historian Dr. Jonathan Foyle and Prof. Nick Barratt with research projects for television, and Dan Cruickshank with his book Spitalfields: The History of a Nation in a Handful of Streets. 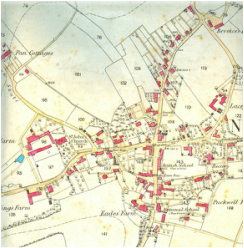 Laura delves into old documents to discover the history of properties across England. Historical photographs, architectural plans and colourful maps are just some of the records that can be unearthed. The product descriptions below illustrate how your house history can be presented. 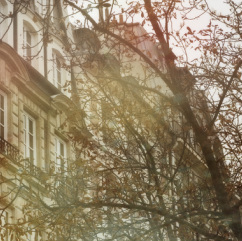 A personal house history book really brings the story of your home to life. The narrative is illustrated with plenty of full colour archive images in glossy print, and a professional architectural photographer takes stunning photos of the house to include a visual record of how it looks today. A timeline at the end summarises the property's historical highlights and chronicles the events it has witnessed. The book is hardbound with a glossy dust jacket featuring a professional photograph of your home. Laura Berry will visit the property to make an architectural assessment before carrying out a thorough search of the local archives, The National Archives, English Heritage archives and the Royal Institute of British Architects' Library for all surviving documentation about your place and its previous owners. A detailed research report embedded with key document images can be provided as an alternative to a glossy book. PDF reports are sent by e-mail, and for a small extra charge a printed and ring-bound copy can be posted. Digital images of all the documents found are sent electronically, and an appendix to the report explains which archives were visited, with full document references and descriptions of all the sources consulted. 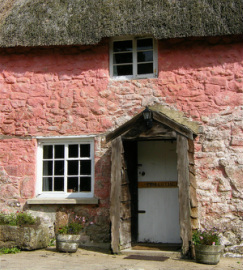 The research can be tailored to suit your needs, but between 3 to 6 days of research are recommended to investigate the history of most houses, depending on the age and status of the building. A potted history offers a snapshot view of your property at various points throughout the 19th and 20th centuries and can be produced as a framed wall hanging, in a brochure or leaflet, or as content for a web page. Depending on the age of the building, Laura can locate images of historical maps, census returns, old newspaper reports, the Valuation Office survey and tithe award, and will summarise the significant highlights in a few paragraphs of text. Research focuses on The National Archives and digitised records, but Laura will also run a desk-based search of other archive catalogues and advise whether there are substantial holdings elsewhere that could be investigated. 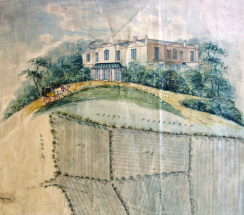 Digging into the history of most old buildings reveals colourful Victorian maps, and sometimes old plans of the property, stashed away in the archives. If you're really lucky there might even be old photographs or drawings of the house or its former inhabitants. On completion of the research for the above-mentioned packages, a selection of the best documents can be professionally reproduced and framed, so that you can share the highlights of your property's history with visitors.